What would Tim Ferriss, Oprah Winfrey and Tony Robbins do? “Who will you be 10 years from now?” is a question my mentor asks me frequently. Truth be told, the answer doesn’t come easy. When I launched my professional speaking career, a dream came to life. I knew this was the best decision I’d ever made. But the road to my vision would be an uphill climb. There’s hidden challenges you never see coming, unless you start the journey. How will you stand up for your fee amidst all the competition? Will you say no to a paid talk if the platform isn’t what you’re looking for? (I mean, how crazy do you have to be to say NO to a paid talk? It’s the speaker’s dream.) How to handle clients who don’t stick to their end of the deal? How to make a lasting impression when your audience doesn’t know of you? How to keep evolving and growing consistently? Why Tim, Tony and Oprah you ask? While unique in their journey of struggle and success, all three built their timeless legacy in the world of communication. 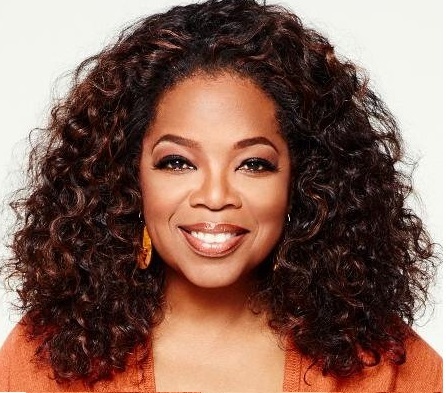 Oprah, as the most influential TV show host of all times, maintaining her powerful presence despite sitting across the most influential names of the time. Tim, with his unstoppable hunger for knowledge and efficiency, bringing the secrets of success of top leaders to people across the world through podcasts. Tony, inspiring people across the world with his larger-than-life energy, in his self-transformational events. I strongly connect with all three, as my vision as a speaker shares similar elements. Building a timeless legacy of inspiration and energy, empowering people across the world as powerful speakers and leaders. Looking back today, I realize asking myself those questions were necessary to bring me to where I am today. My thoughts, actions and decisions changed once I began being the ideals I looked up to. Some disagree with the ‘what-would-someone-else-do’ perspective. They find it easier to be their own role model, and that’s great if you can manage it. But for a first time entrepreneur, putting myself in their shoes sure did help to start taking risks. I may never really know if they’d make the same decisions as I did, but its what I needed to break my bubble. If I could share one piece of advice from my journey, always stop yourself and check if you’re making quick & convenient decisions, or following your vision. If still stuck, then take the people who inspire you the most, and ask yourself, “Am I being the ideals I look up to?” It seems like a fairly basic question, but it get you moving towards the right path . Lao Tzu once said, “The journey of a thousand miles begins with a single step.” The journey of your vision begins thus, with a single question. Sangbreeta Moitra is an award-winning TEDx speaker on powerful persuasive communication, brand storytelling and customer engagement. She is the winner of the TEDxRotterdam Open Mic 2017, Dutch Champion and European Bronze Winner of public speaking (Toastmasters) in 2013/2014. With the belief that communicating with power and persuasion can transform our connection with clients & customers, she speaks at top corporates and associations across Europe. Would you like to have a talk? Contact her at info@sangbreetamoitra.com . LikeWhat would Tim Ferriss, Oprah Winfrey and Tony Robbins do? ShareShare What would Tim Ferriss, Oprah Winfrey and Tony Robbins do? I think this is one of the most іmportant info for me.